Today was a time to focus on the Galilean context of the ministry of Jesus, exploring the social and political dynamics of the region in his time and reflecting on the implications of that for our own ministries now. 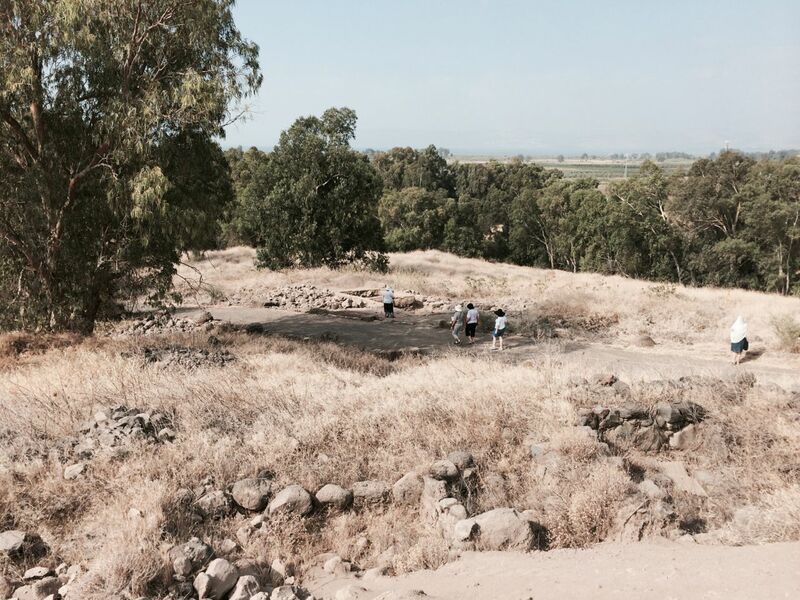 We began the day with a visit to Bethsaida. We reached the site quite early (not long after 8.00am) so that we could avoid the worst of the heat. It was a delight for me to take my new friends around the site, drawing attention to the some of the more interesting aspects of our work. I am sure for them the opportunity to visit the site with one of the people involved in its operations, and a few past volunteers to boot, added greatly to the value of the visit. Here is a rare angle on Area T (sans tarps), taken from the higher position usually occupied by the sifters from Area A. 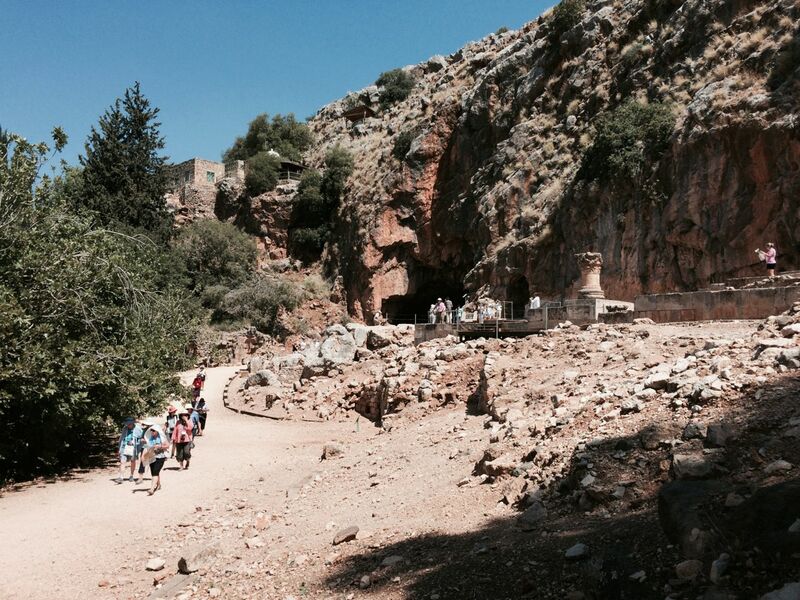 We left Bethsaida and headed north to Banias, arriving there around 10.30am. That gave us plenty of time to reflect on the biblical significance of the site, to visit the Pan grotto and also to explore the nearby palace of Agrippa II. We managed all of that in less than 90 minutes, and once again avoided the hottest part of the day. We made good time back south to Migdal where we enjoyed yet another generous Palestinian meal, before going to Ginosar to visit the Galilee Boat in the Beit Allon Museum and then take a short cruise on the lake. By 4.00pm we were back at the Pilgerhaus, with time to relax before a lakeside Eucharist and dinner. A gentle day, and a world away from the tensions in Jerusalem, as well as the riots that have now spread to several Palestinian towns in northern Israel. This entry was posted in Archaeology, Bethsaida, Uncategorized and tagged Bethsaida, Caesarea Philippi, Galilee, Ginosar, Kinneret, Migdal. Bookmark the permalink.